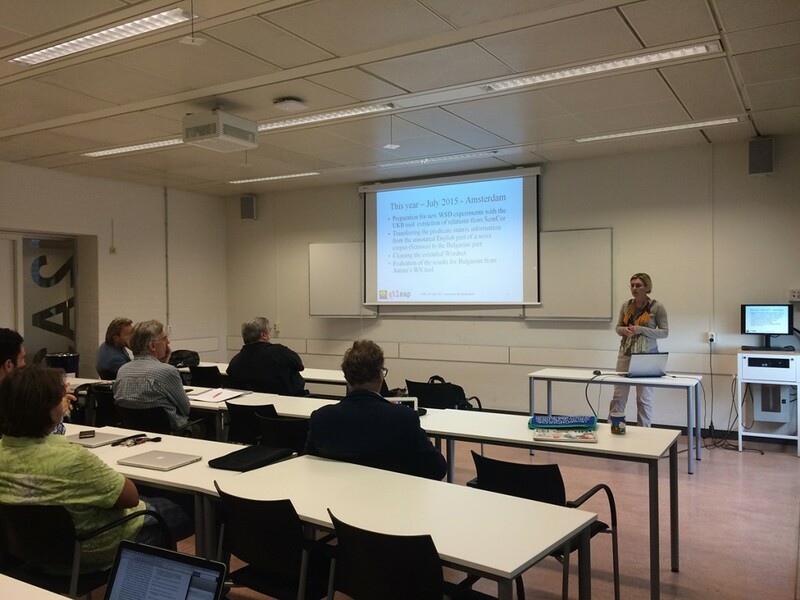 Presentation by Petya Osenova and Kiril Simov: Word Sense Annotation, Disambiguation and Knowledge Transfer for Bulgarian, at CLTL Amsterdam on July 29, 2015. Presentation by Petya Osenova on July 29, 2015. In the talk Petya and Kiril presented their work on word sense annotation of their treebank. The annotation includes also mappings to Princeton Wordnet. They then described their experiments on WSD with the UKB tool. Finally, the question of semantic role labeling was discussed in the light of predicate matrix transfer to Bulgarian data. Presentation by Kiril Simov on July 29, 2015. 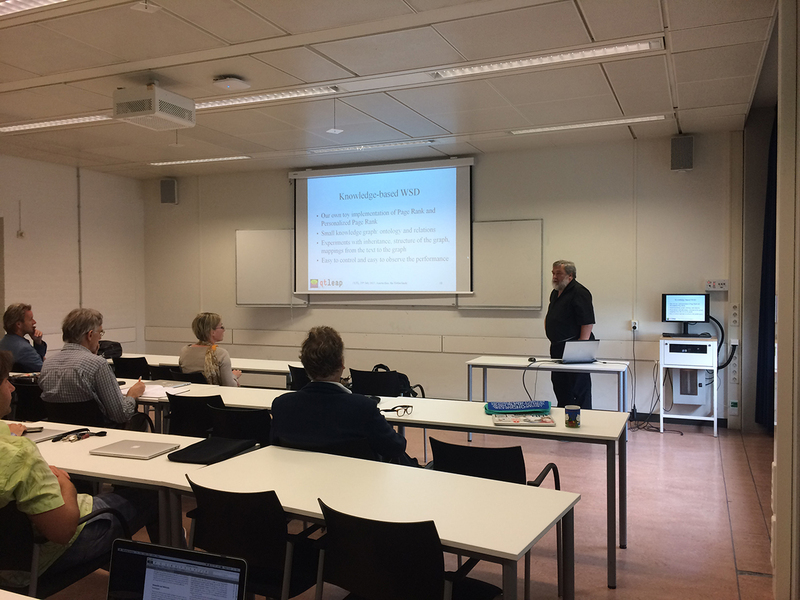 – View/download: Presentation by Kiril Simov and Petya Osenova: BulTreeBank Bulgarian Language Resources and Technology at CLTL Amsterdam on July 09, 2014.